From a domain name perspective, the announcement is interesting. Dandelion is using the Dandelion.CO domain name instead of a .com domain name. Dandelion.com is registered to someone in New York City, and it is unrelated to X’s Dandelion. 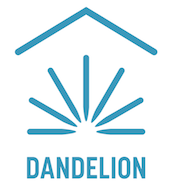 NameBio shows that Dandelion.CO last sold in 2013 for $4,655. After that sale, it looks like the domain name was registered to someone in New York City. At the end of 2016, it looks like it was registered to the CEO of this new business, Kathy Hannun, according to DomainTools Whois History tool. One thing I noticed when doing some research is that Dandelion.CO is still listed for sale on Sedo with a BIN price of $6,000. I presume this means that Google acquired the domain name privately and the former owner simply did not take the listing down (which should be done soon). It would be interesting to know if the seller knew a Google affiliated business was interested in the domain name, and if so, it would also be interesting to know if X acquired this domain name for more or less than the listed BIN price. It is always interesting to see the domain names Google chooses for its businesses. With ABC.xyz, X.company, Dandelion.CO, its .Google websites, and probably other domain names, it doesn’t seem that Google is particularly worried about the domain extensions. I suppose when the business controls the most popular search engine, it doesn’t have to worry about customers and prospects finding the correct website. Interested to note demand exceeding supply [same as it ever was] dam the .com has gone com, this is a democracy or is it? dam the cyber squatters let Google be the emperor and trust Google to give the public what is best for Googles profits. I blame socialism I blame China for paying the market price for the .com Look those socialist are building China-based small and micro-loan startups that even raised $118 million under the six letter name http://dashuf.com/ OMG that will push the prices higher. How dare they pay western domainers the market price. I blame socialism I blame China for paying the market price for the .com Look those socialist are building China-based small and micro-loan startups that even raised $118 million under the six letter name dashuf dot com OMG that will push the prices higher. How dare they pay western domainers the market price.